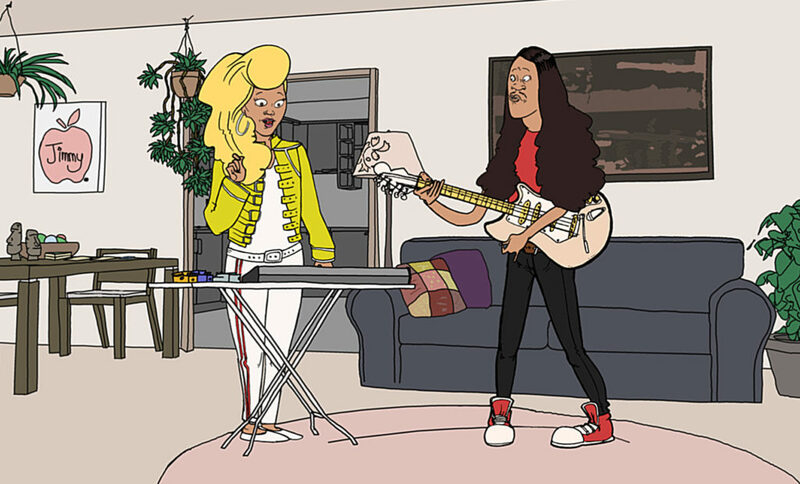 Aroha Bridge (previously Hook Ups) is a new locally made cartoon about musical twins Kowhai and Monty Hook. The contrasting pair hilariously live out the metaphors, tensions and clichés of the music industry while living in Aroha Bridge. With big dreams and bad judgment, the comical siblings never seem to get a break. Creator and writer Jessica Hansell aka musician Coco Solid voices the character Kowhai and is joined by a group of our best actors Rizvan Tu’itahi voicing Monty, Scotty Cotter voicing the bands #1 fan and cousin Ira, Madeleine Sami voicing the twin’s hippy Mum, and Frankie Stevens voicing their excessively macho ex-vet Dad. Originally a comic-strip, HOOK UPS has been animated into 10 short episodes which will be released each Thursday on nzherald.co.nz. Directed by Simon Ward and Illustrated by Don Brooker, and with music from Disasteradio, Coco Solid, Sam Moore and Jizmatron, you wont want to miss an episode. Hook Ups is funded by New Zealand on Air.